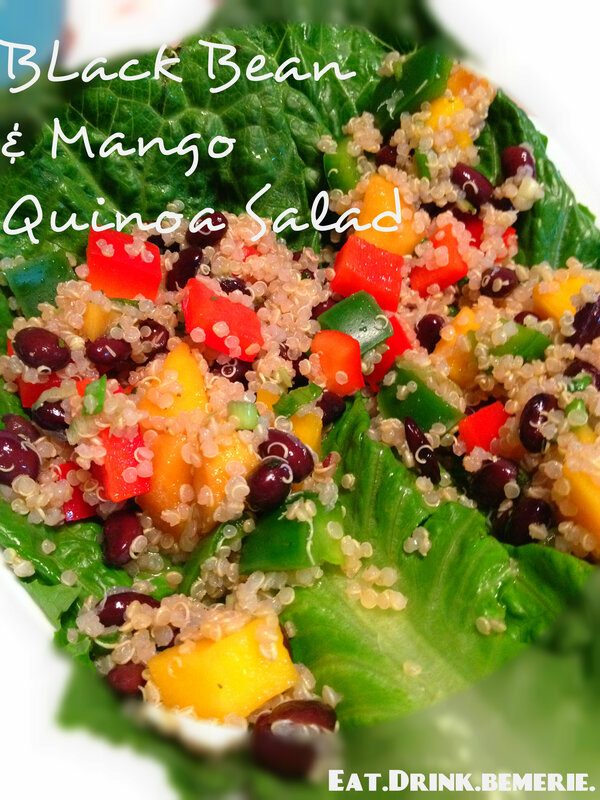 Back Bean & Mango Quinoa Salad | eat. drink. be merie. Rinse and drain the beans to get all the bean goop off. Once everything is sliced and diced, mix all vegetables with the quinoa in a large bowl. Squeeze the entire lime onto the quinoa and veggies. Then drizzle the vinegar and honey over the whole mixture. Mix it all up! And there you have it. Eat the rainbow with this tangy salad. I served mine over long leaves of lettuce. It also goes really well as a side with grilled chicken breast. I love the tropical vibe I get from this salad…so summery! Hope you all enjoy this salad and enjoy the sunshine this weekend!